Thirty years ago, local farmers and families set out to save a space for Hawaiian practices, people, and values on Kaua‘i’s north shore; from humble beginnings and grassroots efforts, the Waipā Foundation was formed. 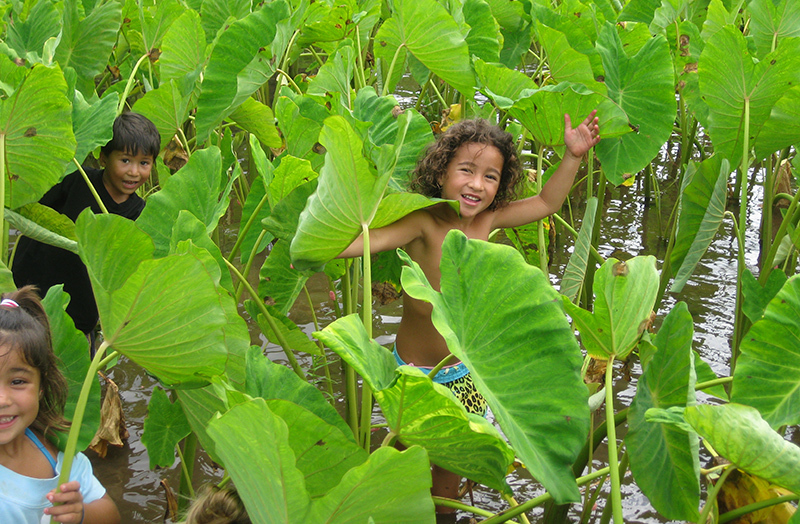 Today, the non-profit organization stewards 1,672 acres as a community space and learning center of sustainability through Hawaiian cultural practice and values. However, the organization does not hold title to any of the land, and has therefore not secured its long-term presence on Kaua‘i’s north shore. The Trust for Public Land and Waipā Foundation are working to purchase two kuleana properties in Waipā –Kaluanono and Halulu Fishpond Access – to fasten Waipā Foundation on Kaua‘i’s north shore. Kaluanono is an ancient wetland taro field. Halulu Fishpond access includes the community path to the Hawaiian fishpond and Hanalei Bay and part of Halulu Fishpond. Both properties provide habitat to endangered wetland birds. Through development restrictions, the agricultural, cultural, and community use of the land will continue in perpetuity.